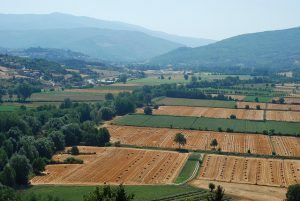 While many people flock to Italy to see the famous monuments, many miss out on the beautiful and diverse landscape. To truly appreciate it, it’s best to rent a car and drive into the countryside and explore Italy’s picturesque scenery and well- maintained roads. For women, Italy is an outstanding destination, which is why a survey from car rental company Autoclick showed its popularity over other English speaking countries with Italy in 3rd place in the world for women taking a road trip. Just over an hour’s drive east of Rome, the quiet and relatively unknown region of Abruzzo is a world apart from the big city, with wild, empty valleys and unspoilt mountain landscapes, it’s one of the most stunning countryside in Italy. From Rome, take the A24 to Fonte Cerreto, where the road quickly climbs into the mountains to Campo Imperatore, where white cows graze and hiking trails wind off into the forests. The small towns in the park are virtually untouched. 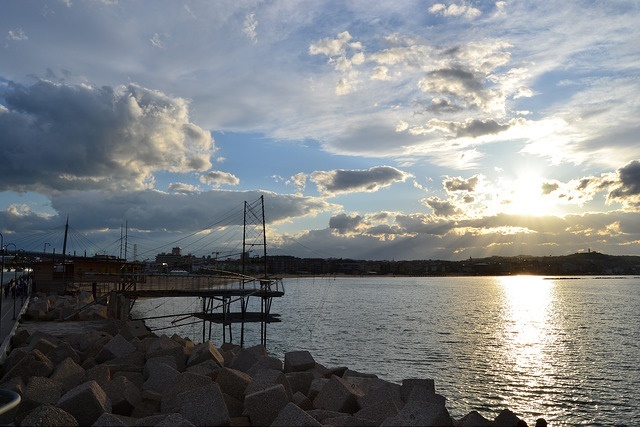 Don’t stop until you reach the town of Vasto and see the famous Trabocchi coast. Driving this route is sure to deepen your Italian experience and enhancing your understanding of Italian culture. This region of Italy is moored in the bluest waters of the Mediterranean. It boasts superb diving spots and heaps of Roman ruins. The northern area of Sardinia combines several of the Island’s most iconic features, including the emerald Coast and the snow-capped peaks of Gennargentu National Park. Beginning in Alghero, head north to the Stintino peninsula and Santa Teresa di Gallura. Next, head south to Cala Gonone and then cross the interior to Bosa, before returning back Alghero. The coastal roads are slow going but yield the best views, especially the road back between Bosa and Alghero. This one is for food and wine lovers. This road trip is one best to enjoy at your own pace, whilst enjoying plenty of inspiring views of the iconic countryside in Casentino Valley. Enjoy the renaissance architecture in Florence before driving south to the Chianti region. Continue through the Tuscan countryside to pause at more wonderful wineries, eateries and quaint Italian hotels that offer you the authentic Tuscan experience you’re seeking. The Amalfi Coast is one for the thrill seekers. Driving from Salerno west to the Vietri Sul Mare you will experience mainland Italy’s most spectacular coast. From Vietri Sul Mare the driving becomes more challenging, and as the road becomes more narrow and the curves become tighter; the views become more breath-taking. Once you arrive in Amalfi, take some time to look around the landmark Cattedrale di Sant’Andrea. Next up is the near vertical town of Positano, where colourful house are stacked down the hillside. The route carried on towards the inland, up across the hills of Sorrento, overlooked by the brooding beast of MT. Vesuvius.